Шины с таким параметром рассчитаны на более сильные нагрузки. 1. Perfect steering precision and sporty handling. 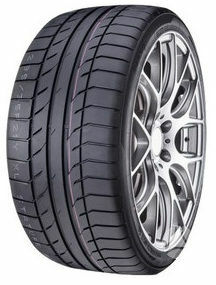 The solid,sturdy central ribs,attached tread lugs,plus asymmetrical tread ribs ensure optimum,longitudinal stiffness in the tyre and reduced movement in the tread. This means steering forces are transmitted straight to the road. 2. Outstanding grip and stability during cornering. A supple macro-block design on the outer shoulder and solid central ribs ensure that the tyre adapts perfectly to the road surface. Particularly during fast cornering the contact patch is increased. The driver receives excellent feedback when approaching the limit and the tyre provides outstanding grip with maximum stability.